Babis graduated from the Aristotle University Veterinary School, Thessaloniki, Greece in 1998. After spending time as an intern and working in small animal practice, he completed a PhD in feline cardiomyopathies at the Royal School of Veterinary Studies, University of Edinburgh in 2003. He then did a residency in small animal cardiology at the Royal Veterinary College, London and in 2007 he became diplomate of the European College of Internal Medicine (Cardiology). Babis has been offering referral services for small animals with cardiorespiratory disease in the South East of England and London area since 2007. He has published widely and presented and lectured nationally and internationally. 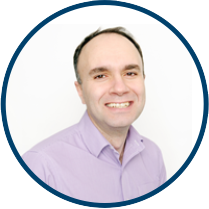 Babis enjoys all aspects of small animal cardiorespiratory medicine and has a particular interest in interventional cardiology.